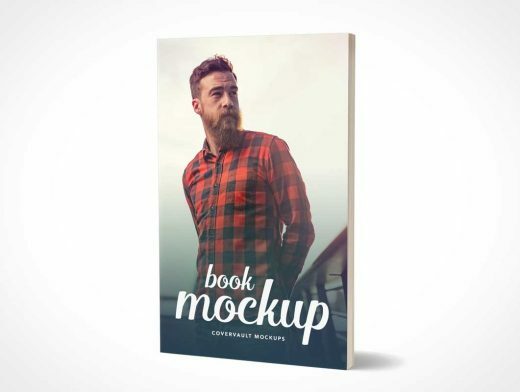 This paperback PSD Mockup faithfully renders your 5 x 8 inch book cover design onto a standing book. This Photoshop book template represents a paperback book with a thickness typically associated with a book containing 100 pages. The book itself is facing forward with a slight 30° rotation allowing for the pages of the book to become visible along the right edge. The spine is hidden in this mockup. Highlights and shadows are provided on individual layers within this PSD Mockup and the background is fully transparent.